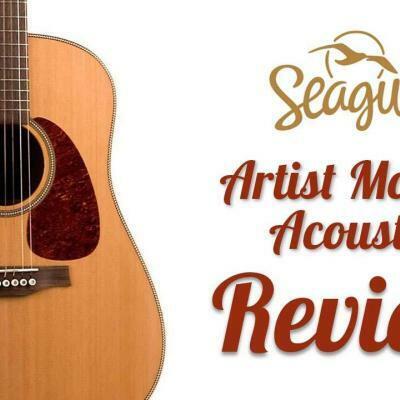 Home » Guitar & Product Reviews » Acoustic Guitar Reviews » Martin vs Taylor: Which Guitar is Right for You? 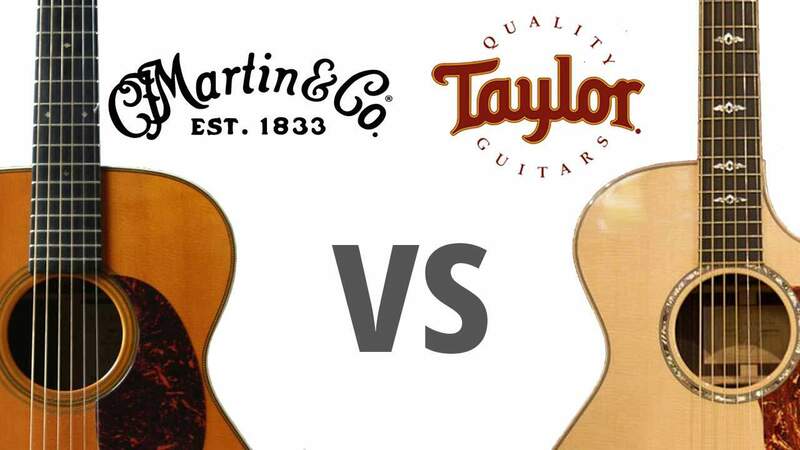 Martin vs Taylor, two of the most popular and iconic brands in acoustic guitars known worldwide. 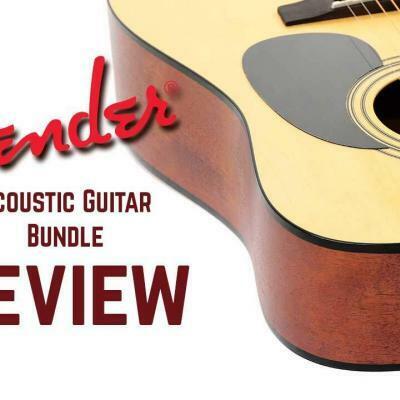 Who makes the right acoustic guitar for you? Martin vs. Taylor: Who Makes the Better Guitar? If you’re doing your own research on purchasing an acoustic guitar, it’ll be no surprise to come across two of the biggest and most iconic brands: Martin and Taylor, two of the most iconic brands in acoustic guitars known worldwide. Both popular companies have been producing various guitar models well loved by many musicians for some time. In this article, we’ll explore more about the two competitors and make some critical comparisons. Martin Guitars | C. F. Martin & Co.
C.F. Martin was founded in 1833 and is one of the oldest guitar brands in the world. It was first started by Christian Frederick Martin (hence C.F. Martin) and remains a family-owned and operated business until today. Based in Nazareth Pennsylvania, the long-running manufacturing facility also offers free tours during weekdays so that the public can see how their guitars are made. 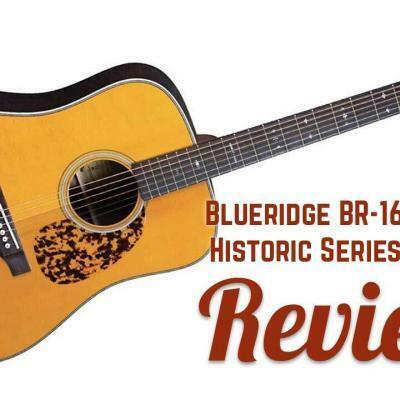 The brand is well known for inventing the “dreadnought” design of acoustic guitars. Since then, the dreadnought shape of the guitar has been a staple in acoustic guitar construction. In their beginning years, they were just a small company that produced a small number of instruments. They focused on producing quality guitars rather than producing them in great numbers. History is littered with many brand names that did not maintain an eye towards quality. As time passed, that vision allowed the company grew into what it is today. In contrast to Martin Guitar’s early inception in 1833, Taylor Guitars is a more modern guitar company started in 1974 by Robert Taylor. Based in El Cajon California, they’re known for producing more professional lines for more experienced or highly discriminating guitar players, as well as excellent budget guitars for beginners. They are also not afraid to stretch the limits of conformity and offer new designs that some manufacturers may find too daring. Taylor Guitars, like Martin Guitar, produces high-quality instruments to make sure that they maintain their great reputation, and to ensure that guitar players are always satisfied with the product they offer. They are the pioneers when it comes to the new technology “NT” bolt-on neck design and, again similar to Martin, patented the Grand Auditorium body design. Aside from their fine acoustic guitars, they also produce electric guitars. Each of the guitars from their brand have the “Taylor tone,” which is described as a rich and bright sound. Sound Comparison: How are They Different? Martin and Taylor produce an extraordinary number of guitars. Each guitar may have different body shapes and materials used, which is why each one can produce a different tone even though it may have been manufactured from wood derived from the exact same tree. This “classic’ sound may also be due to the fact that they’ve been around for a much longer time and a lot of famous musicians record and release their albums using one of Martin’s guitar models. The most notable artists who have used Martin guitars include Hank Williams, The Eagles, Paul McCartney, Johnny Cash, Elvis, Neil Young, and many, many others. in contrast to Martin’s richer lower mids. 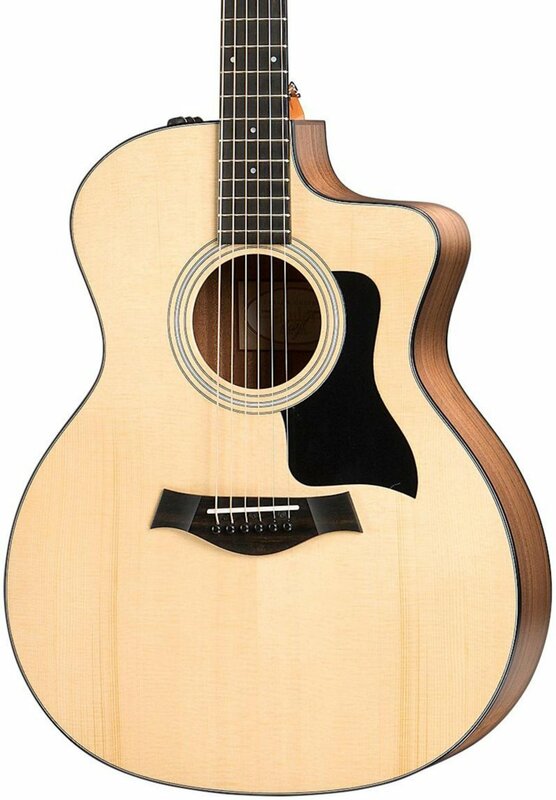 Taylor guitars have been used by many contemporary guitar players such as Mateus Asato, Taylor Swift, Chelsea Wolfe, and many more leading edge musicians. Both companies also produce guitars that can be plugged into an amp. They incorporate and continue to develop quality electronics to make sure the sound produced is as close to true reproduction as possible with sound shaping flexibility, not just amplified. 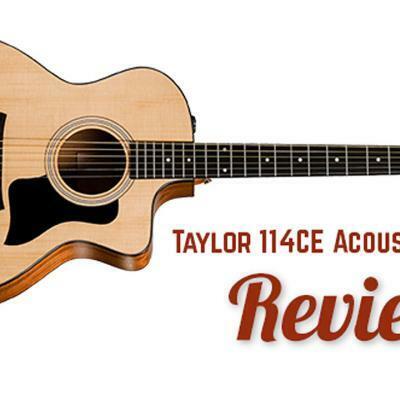 Taylor guitars incorporate their excellent in-house designed Expression System pickup system while Martin primarily utilizes comparable OEM Fishman pickups. Action Comparison: How Do They Play? Taylor guitars and Martin guitars are both brilliant playing instruments when properly setup. With a little bit of common sense skill and a few modest tools, they can easily be dialed-in to a owner’s preference. The exact adjustments will depend on the player, and can be done by the player themselves, or by seeking the help of a well-trained professional at your local music store. The radius of the fretboard may also affect how easy it is to play the guitar. Different guitars from both brands may have different radii but most of the guitars that Martin produces have a 16” radius while Taylor guitars have a 15” radius as a standard. Though a minimal difference between the two, a smaller radius is easier to do barre chords on. 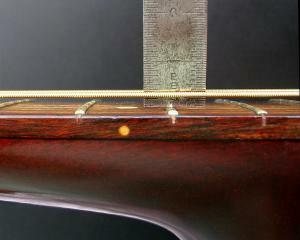 When properly setup and cared for, both guitars are exceptionally easy to play due to their attention to the details. They’re both constructed using the best materials and engineered with the player in mind, all at a standard that is very hard to beat. Build Comparison: How Do They Differ Structurally? The two companies build their guitars quite differently. Taylor, perhaps more open to forward thinking construction, has come to love the various modern techniques available today. On the other hand, Martin guitars are more traditionally made because, after more than 170 years of experience, it works well for them. One very forward thinking advantage with Taylor guitars is that the neck angle of the guitar is made to be more easily adjustable to compensate for natural changes over time. 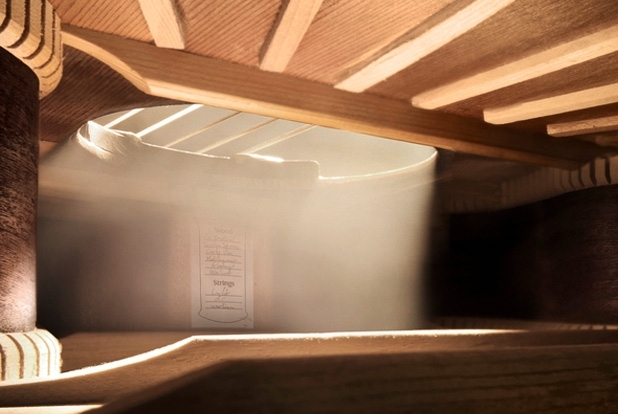 A traditional neck reset with refinishing touchups can run into many hundreds of dollars, and every acoustic instrument will require this adjustment every couple of decades or so due to the forces of time and pressure. Having said that, the neck of a Martin guitar isn’t adjustable in angle being built using traditional standards, but it produces a more resonant depth of tone compared to Taylor guitars. Thus is the nature and tradeoff of traditional set neck construction. Taylor guitars are designed and crafted on a larger scale, but they still make sure that each guitar is of great quality. 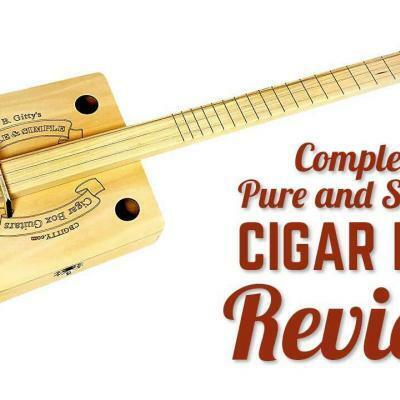 The NT necks fit in a precise pocket and use laser cut shims measured in thousandths of an inch to make sure the fretboards are well supported and straight. On the other hand, Martin guitars are one of a kind, and each is crafted by hand. Each part of the guitar is designated by a group of people who specialize in making that certain part, and then they put all the parts together to form the guitar. Martin is more traditional and offers a very classic sound to their guitars, while Taylor is more modernized and produces tones that you usually hear with contemporary music, but there are also modern artists who use Martin guitars. One really isn’t better than the other because both produce high quality guitars. They just differ in the sound they produce and different guitar players prefer one over the other. Looking for a fully developed, robust bottom end and resonant authority? Choose a full-bodied Martin. Want a stronger midrange with top end transparency that can’t be beat? Choose a Taylor instrument. Either way, you’ll find your own unique voice through either of these superior brands. 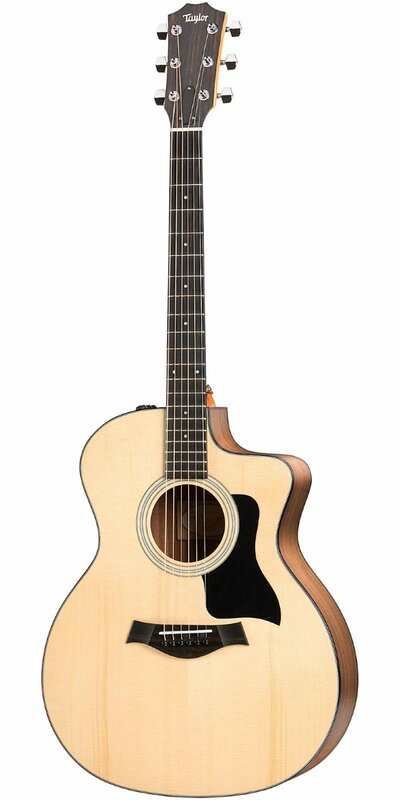 Both the Martin and Taylor brands offer high-quality guitars. The debate between which produces the best guitars has been going on for a very long time; each of the brands have their own followers and devotees. It all comes down to the player’s personal preferences. 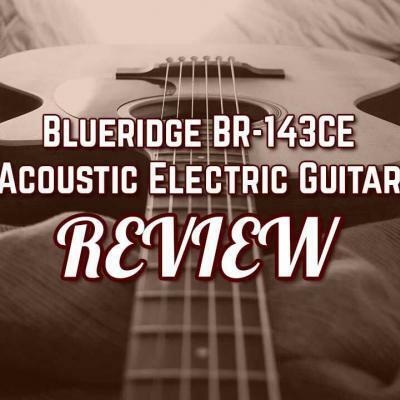 For a comparison of other exceptionally well-voiced acoustic guitars at reasonable prices, check out our comprehensive article here. It has been said that, understanding they are both extremely fine instruments as acoustic voices, they are quite complimentary. I’d like to start learning some classis/Spanish classic guitar. I don’t really want to go with a nylon string guitar though. Which would have the better tone for that type of playing. I’m guessing Martin based on this article, but I’m really kind of drawn to Taylor. I’m thinking MARTIN DJR2E or DX1RAE. Or Taylor A10e. 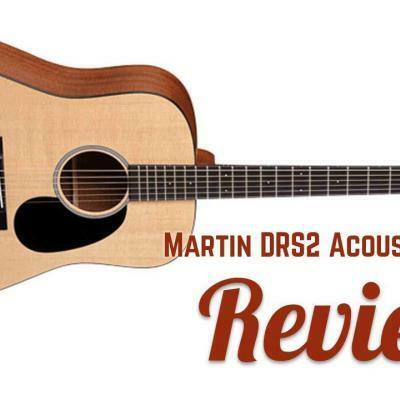 Depending on your budget, I would think the Martin DJR2E would be your best option. 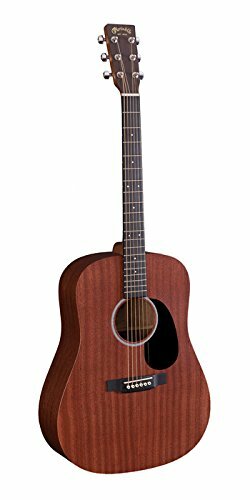 The sapele construction combined with Martin’s signature full tone would keep the instrument both affordable, and keep the harsher high end frequencies not associated with classical instruments at bay.